Outdoor game is very popular for people all ages. They are like and enjoy any outdoor game because it can solve their boring in daily activities. Feel the fresh air and enjoy the outdoor atmosphere are very interesting activity. It will more interesting if you do those activity with your friends, children or family and having some outdoor game. You just need rule of the game and the equipments. 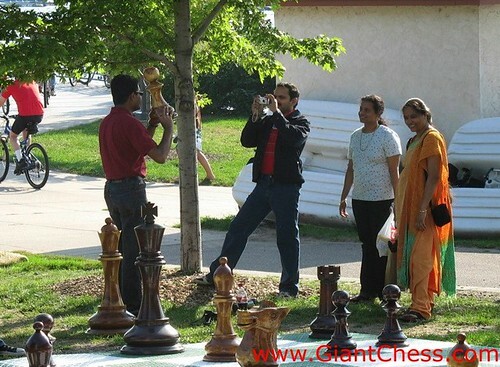 Now on, you can spend your holiday at garden or yard with the unique of wooden giant chess set. We present to you a unique giant chess set with its flat chess board special for outdoor use. We produce it carefully for outdoor use and durable in any seasons. It has made of the best quality of Teak wood and polished well. So you do not need worry about its durable. We give you the best quality of wooden chess product.